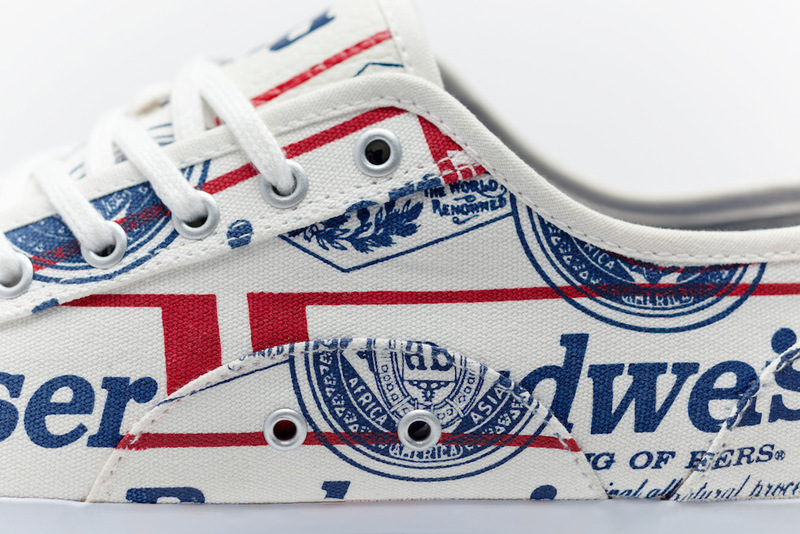 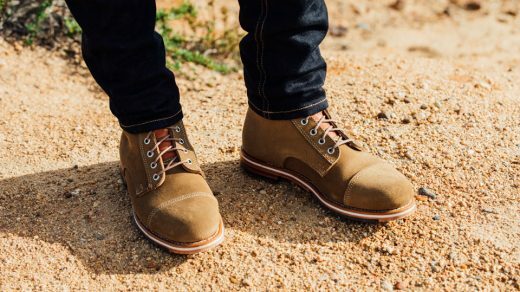 America’s beer, Budweiser has teamed up with Greats Brand and Alife on a shoe slated for Spring 2017. 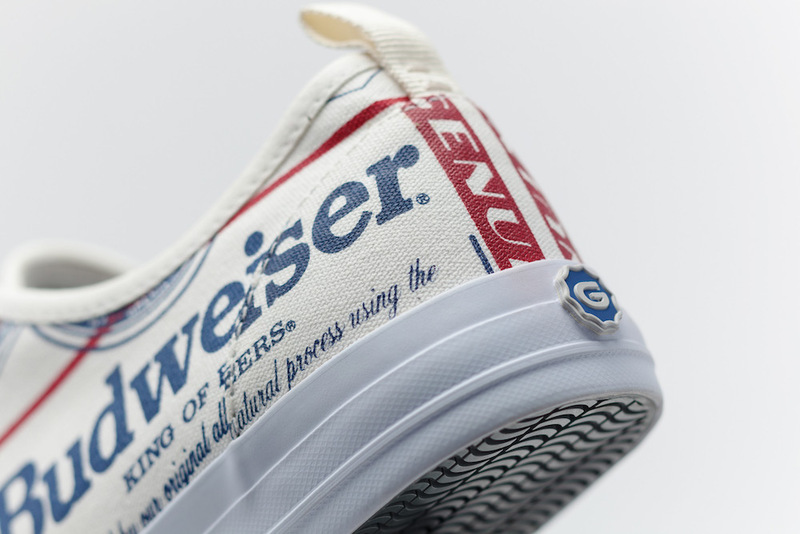 Though, a few lucky select VIPs received a pair early at the Budweiser Made in America, Budweiser’s annual music festival. 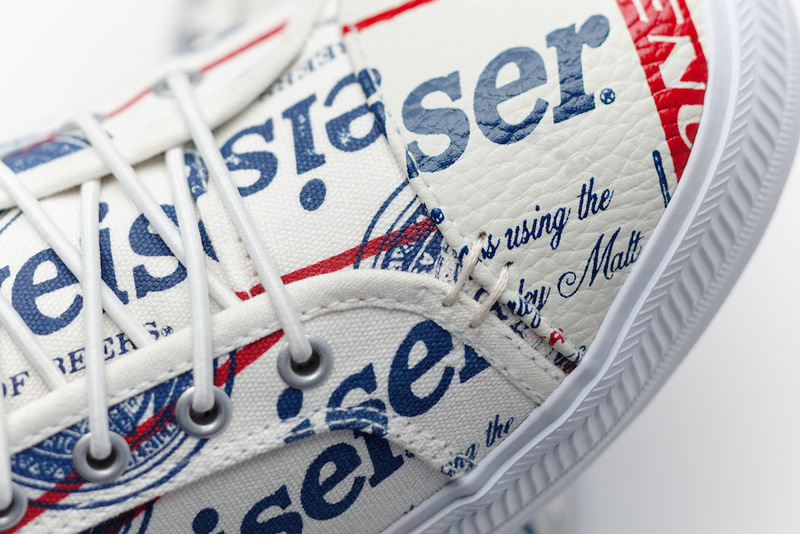 This collaborative shoe starts with Greats’ “The Wilson” silhouette, which is a classic kick that pays homage to the vulcanized rubber soled, canvas upper sneaker. 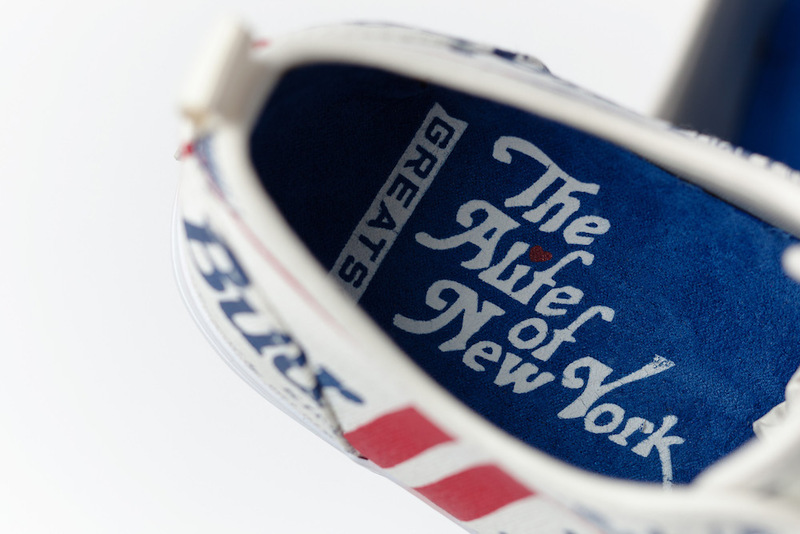 Using Budweiser’s classic logo, Alife plastered the upper, including the toe cap, with the beer brand’s imagery and colors. 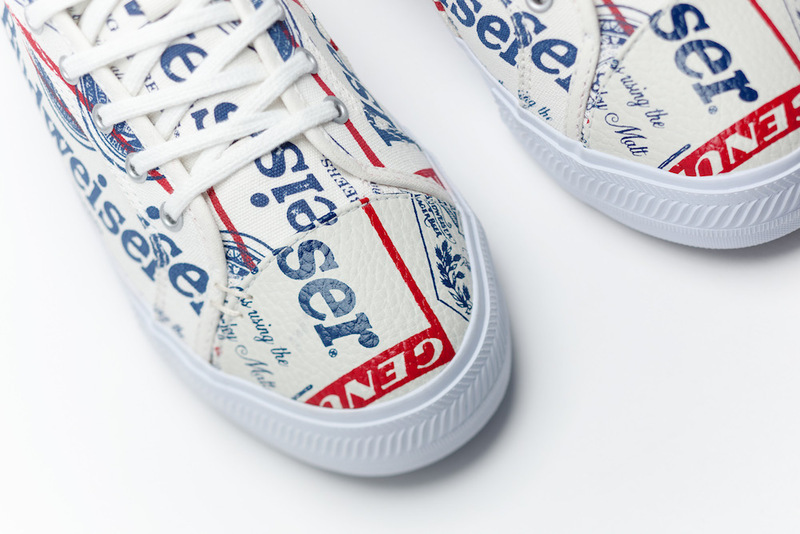 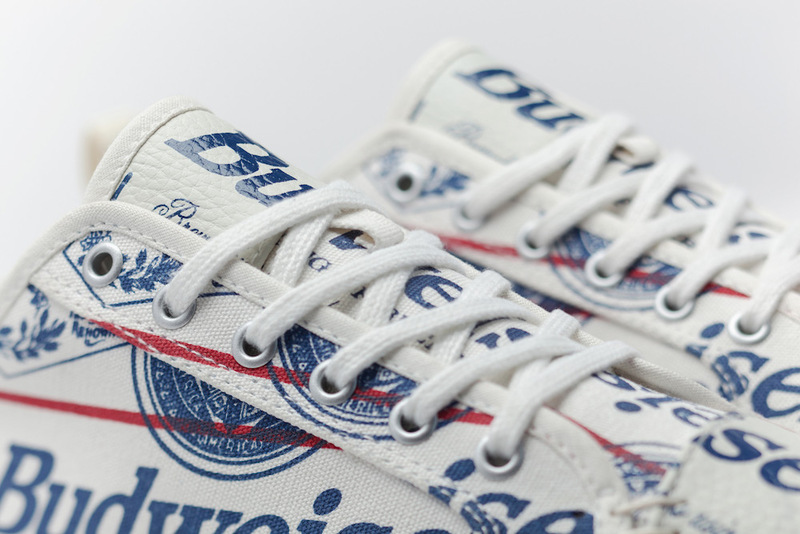 Keep an eye out for the Budweiser x Alife x Greats Brand kicks sometime next year.